My father, Gregory Bogdanov in camp. I have viewed your website, wonderful. I live in Australia. I'm trying to track information on this man. 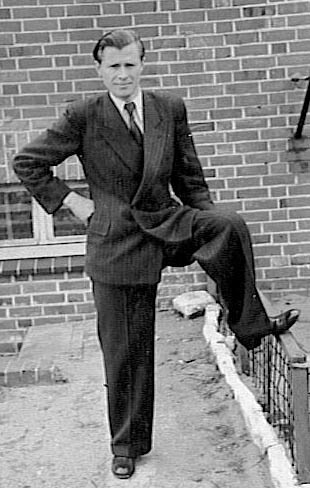 He was in DP Camp 514 Fischbek WW2 – Born in Dubno Poland [now Ukraine]. My mother passed away and I found this photo, which I believe to be my father. 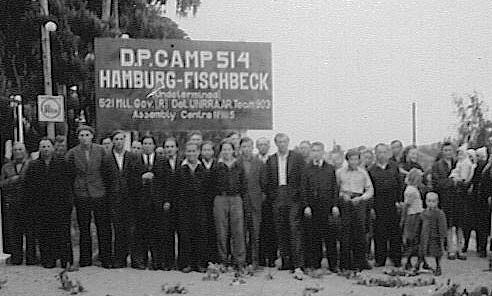 My mother was also in DP Camp 514 Fischbek WW2. Her name was Ekaterina Andriivna Formerly: Havrysh Married name: Palaniza (Palianycia, Palianytsia)- different spellings – Born Dubno Ukraine. I would like any photos or more information on my mother also. I have aunties, uncles & sisters who I don’t know and would like to contact. We have searched the internet and have not came up with anything much at all. Here are some things that I remember from the Fischbek DP Camp, near Hamburg, Germany. Please post this on your website, if you think it’s useful. 1. Fischbek is the German spelling. Fischbeck is in English. This may lead to confusion, if people are doing a search on the Internet. 2. My parents and I lived at 2 Rostweg, Fischbek from 1951 to 1957. The population at that time consisted mostly of Eastern Europeans – Russians, Ukrainians, Poles, Latvians. Some German families also lived in this camp. The camp was shrinking at that time. People were leaving the camp by emigration to other countries. Others moved to new housing, as Germany was rebuilt. More than half of the original barracks had been demolished on the east and south sides of the camp. Around 1957, on the south side of the camp, new housing was going up for German Army Officers. 3. The camp had a Russian Orthodox church. I remember attending church services on holidays, especially Easter. I also remember attending funeral services. Therefore, there must have been a cemetery nearby. Anyone looking for family, perhaps can contact the Russian Orthodox Church in Germany. 4. The train station was in Neugraben. It took about an hour to walk there. We used to take the train to Harburg, and then to Hamburg. We emigrated to the USA in 1959. 5. There was a second DP camp nearby. I think the name was Falkenberg. It was within walking distance; we visited with people the occasionally. 6. I was in Germany in October 2000, and took a drive to Fischbek. Rostweg, the street, is still there. But the whole camp is gone. The place is now a residential area. My name is Anatoly Kurjaninow. I live in New Jersey. I came across your site as I was searching for info on the Fichbeck camp, near Hamburg. I and my family lived there in the early 1950's before we emigrated to the USA. 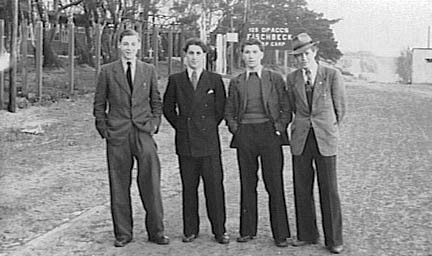 I read the item on Fischbeck by Nina Bogdan – whose father was at the camp. I emailed her with my contact info a while back but never received a reply. Could you forward my message to Nina Bogdan? 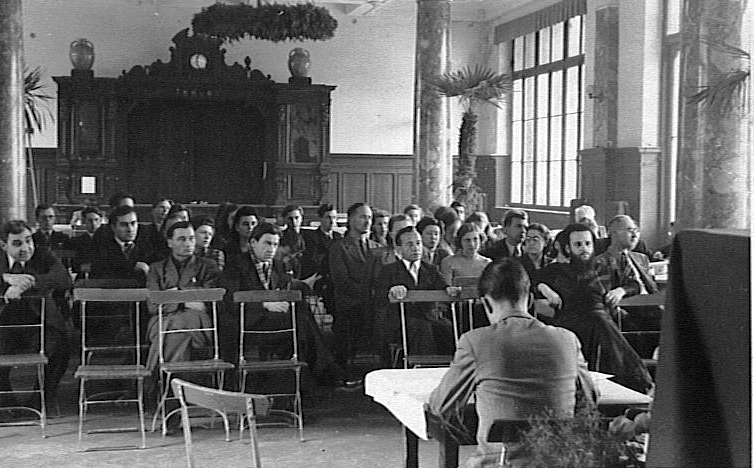 For the majority on both sides, life was still separate, not the least because of their different legal status as Germans or DPs. Many DPs had not yet started to think about a life in Germany but were waiting for other options. 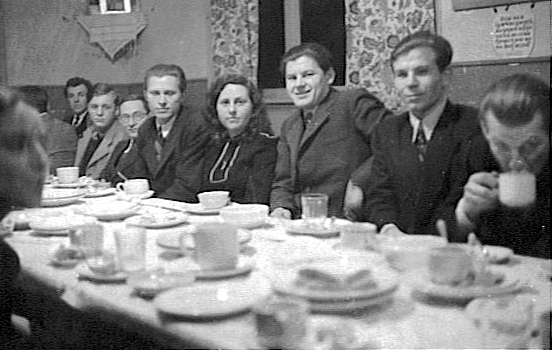 The former DPs remember the interest of people already living in Germany whose bonds to their Polish background were renewed and encouraged by listening to the Polish language in the streets, by meeting "new" Poles and taking part in Polish life. 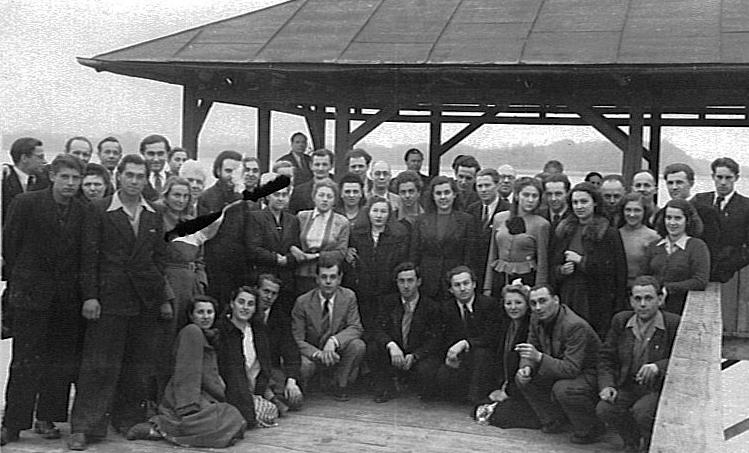 (31) Shortly after the end of the war, Polish DPs were approached by old emigrants who welcomed the ones coming from "home." For some of the permanent residents the presence of Polish DPs offered comfort when Germans ignored and forgot about their Polishness. The mutual understanding between some of them was like an "osmosis," one former DP remembered. 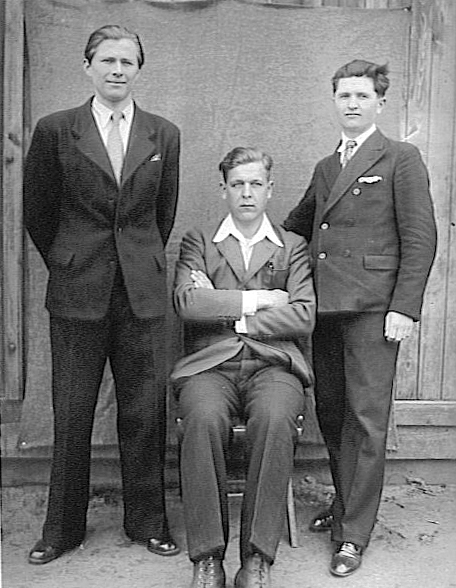 (32) Some former Polish soldiers who had good connections to the British remember that they [the Poles] could help members of the old Polonia who were seen as Germans by the British, for example, with university applications or with legal advice. (33) There took place events like the traditional Polish celebration of Corpus Christi in a DP camp which attracted Polish residents from outside. 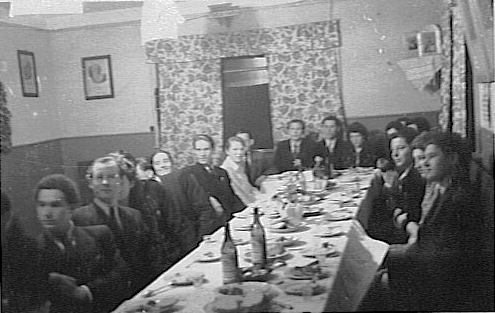 On the other hand, the old Polonia invited some DPs to parties they had begun to arrange. The second factor was religion. The majority of Polish émigrés are Catholics and religion plays a major role in their life. Therefore the organization of pastoral care and church life was always important for the Polonia. It is not a coincidence that the book best documenting Polish life in Hamburg 100 years of Polish pastoral care in Hamburg was written by a Catholic priest. 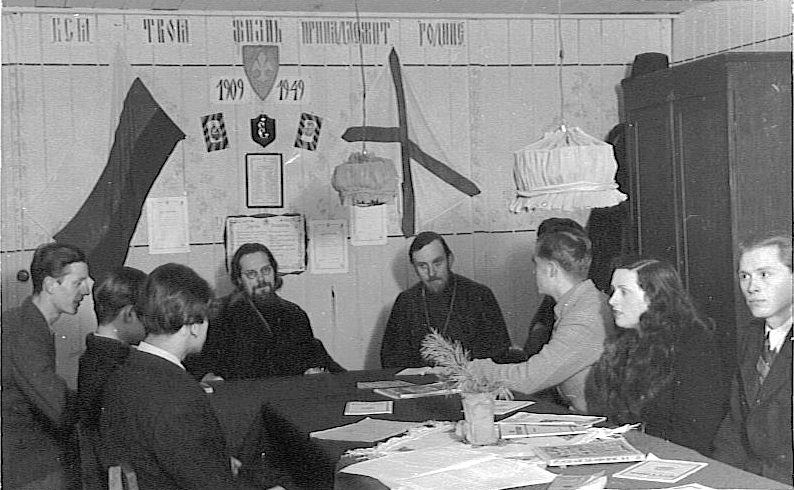 (50) Not surprisingly, priests and participants in Polish Catholic life were anti-communist. 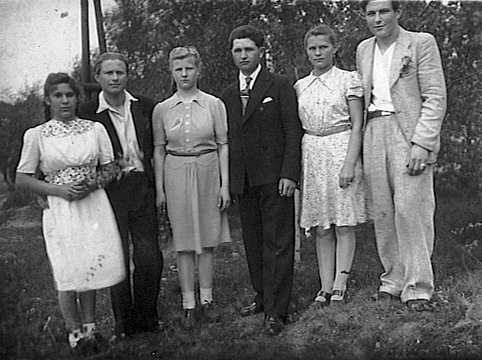 The next group of migrants from Poland, the Aussiedler and their family members, is by far the largest and the most difficult to assess because of their heterogeneity. 17. The estimates vary between 1,7 million and over 3,5 million. Stefanski 1995, p. 391; üuczak 1991. 28. Nadolny 1992, pp. 42-46, 62. Associations were not allowed earlier. But the first steps were undertaken in 1945. Zwak and Poniatowska/Liman/Kreìalek 1987, pp. 145-8. 45. Those "old emigrants" were for example Tadeusz åmietana from Zgoda, already active in the Polish school association, and Aleksander Mlody from Rodlo. 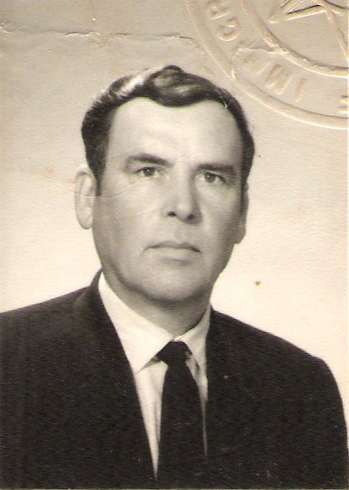 Kucharski 1976, pp. 22 and 24; Zwak 1985, p. 160; FZH WdE 638, 647. Czeslaw üuczak, "Polnische Arbeiter im nationalsozialistischen Deutschland," Europa und der "Reichseinsatz." Ausländische Zivilarbeiter, Kriegsgefangene und KZ-Häftlinge in Deutschland 1938-1945, edited by Ulrich Herbert (Essen, 1991), pp. 90-105. 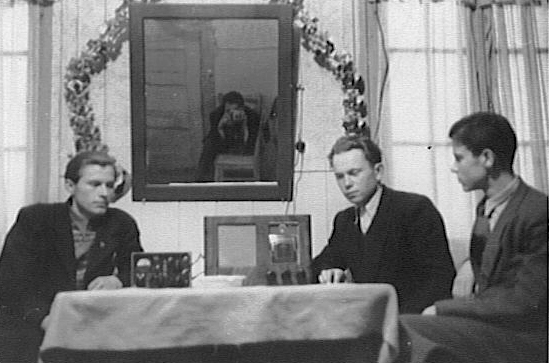 Anna Poniatowska, Stefan Liman, and Iwona Kreìalek, Zwiazek Polaków w Niemczech w latach 1922-1982 (Warsaw, 1987). "Wir Hamburger aus Polen," by Elìbieta Górska and Alexandra Kuzminska-Wojtyllo, 2d ed. (Hamburg: Ausländerbeauftragter der Freien und Hansestadt Hamburg, 1993).